On 4 March 2016, P.K. Nair died. I wonder if someone had shown him a British Film Institute short released months before his death. Titled Film Is Fragile, this minute-and-a-half video is a call to preserve celluloid film. In a series of chase scenes from existing movies, the scenery dissolves in the manner of deteriorating film reels. The effect is oddly beautiful, but the point being made is this: Film preservation is an urgent activity, delay is death. Nair would likely have agreed. He understood the importance of film preservation before almost anyone else in the country, and worked all his life towards this goal. He joined the National Film Archive of India (NFAI) as assistant curator in 1965 and over the years, through his doggedness and guile (legend says he would make a clandestine duplicate of any print that was loaned to the NFAI if it wasn’t already in the archive), managed to save countless films from almost certain extinction. But apart from being an archivist, Nair had a deep knowledge of, and pronounced views on, cinema—something which Yesterday’s Films For Tomorrow, the first collection of his writings, celebrates. As screenwriter and author (and the book’s editor) Rajesh Devraj states plainly in his excellent introduction: “Nair was not a writer by profession, and it shows sometimes in these occasional writings." This is undeniable. Nair’s prose is perfectly serviceable (especially when one considers the febrile, hyperbolic nature of most non-academic film writing in India), occasionally vivid, but mainly a vessel to get his thoughts across. It seems significant that the pieces in this book are drawn from film society anthologies, festival booklets and books on film preservation: publications which would likely prize ideas above prose style. Some of the most evocative writing comes in the first two chapters, in which Nair recalls his first movie-going experiences in 1940s Thiruvananthapuram. This is the sort of cinema that cannot be contemplated now, with narrators for the silent films, and five or six breaks in the action so that the reel could be changed. His family wasn’t keen on cinema, so Nair would sneak out late at night and watch the second half of the last screening. He would then catch the first half at a later date. 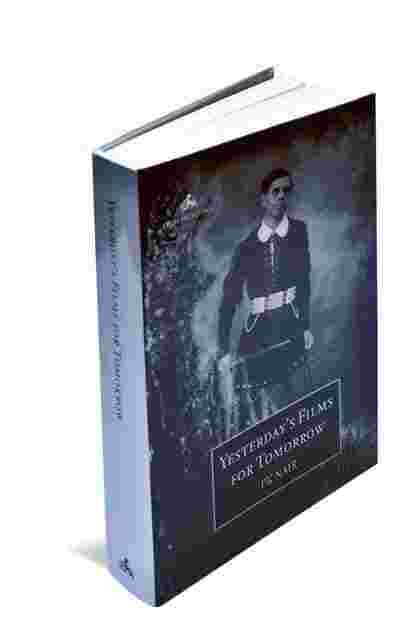 Yesterday’s Films For Tomorrow: By P.K. Nair (edited by Rajesh Devraj), 263 pages, Rs495. More than the polemics, the pieces that stand out in Yesterday’s Films are the ones informed by personal memory. There’s a tribute to the director Mehboob, whom Nair had worked with as an unpaid assistant in the 1950s. Nair’s facility with cinema allows him to compare Mehboob’s shift from character dramas like Andaz to large-scale epics like Mother India, to American film-maker William Wyler becoming Cecil B. DeMille. Similarly, the chapter titled “Film Preservation In India" is a fascinating account of locating old film reels and obtaining them for the NFAI. To save some of Dadasaheb Phalke’s rare films, he transported highly inflammable nitrate reels in a taxi from Nashik to Pune. “Every time the car took a bump, my heart jumped," he writes. Even if you’re an inveterate film-lover, Yesterday’s Films presents a few obstacles. There is a fair bit of repetition of both argument and fact—something to be expected from someone who wasn’t a professional writer, and, more crucially, wasn’t leaving all these pieces behind to be read (the book also includes diary entries and files found on his computer). The writing, as previously mentioned, is a little stolid; in addition, the scolding tone he adopts in his earlier pieces about mainstream cinema will probably displease those who like to mix in a little Govinda with their Gopalakrishnan. My advice would be to ignore the troughs and wait for the crests: the chapter on the song in Indian cinema; the comparison of Mauritz Stiller’s Erotikon (1920) and Santosh Sivan’s The Terrorist (1997); his elevation of P.C. Barua’s Devdas over Bimal Roy’s version because of the sympathy for its female characters. After years of being Indian cinema’s best-kept secret, Nair is finally in the public eye (even if it’s a very niche, arthouse cinema-loving public). Readers of Yesterday’s Films can supplement the experience by watching Celluloid Man, Shivendra Singh Dungarpur’s 2012 documentary on Nair, which serendipitously turned up on Netflix earlier this month. The one thing the book hints at and the documentary confirms is the high esteem Nair is held in by those whom we would consider legends of Indian cinema. In the book, Nair writes that whenever he was asked why he didn’t direct himself, he would reply, “I would rather make film-makers than films." The tributes heaped upon him in the film by Adoor Gopalakrishnan, Gulzar, Basu Chatterjee and Mrinal Sen would suggest that he did.